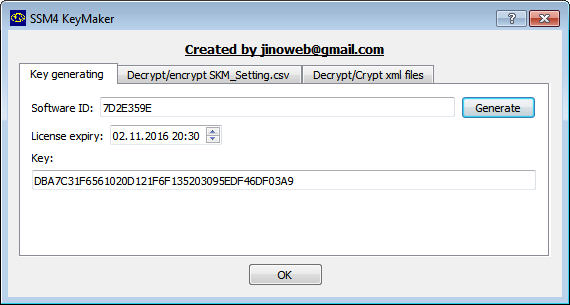 Genarate activation keys for SSM4 3.2.0 [10.2015]. To get activation key for 3 month for free just post your Software ID. (08-20-2016, 12:09 PM)magik9415 Wrote: HI.